Alternative Dispute Resolution is something most often handled by attorneys or retired judges as an alternative to more traditional litigation. But throwing three attorneys at a business problem is not always the best recipe for resolution and can sometimes result in even more conflict. As a result of many years of working with companies who get stuck, Achievence has seen many instances where the problem is substantially related to in-fighting, power struggles, separation, strategic disagreement, divorce and other related interpersonal challenges. As business consultants we have taken on the role as mediators between the attorneys focused on business resolutions that allow business to continue and thrive while satisfying all parties involved and keeping legal fees down. Attorneys, receivers, courts and judges with great success have hired us to fix this complicated workout issues, operating as interim managers, mediators, forensic evaluators and business strategists. Achievence is a very viable alternative to the traditional method of all attorneys fixing business problems. Each side in a dispute has a lawyer, shouldn't the business have a business guy? Flexibility is key to providing you what you need, when you need it. Every client is different and has a host of varying desires and objectives; therefore, the relationship between Achievence and each client is dependent upon the client’s business and core capabilities as well as the ability to commit to the government space. 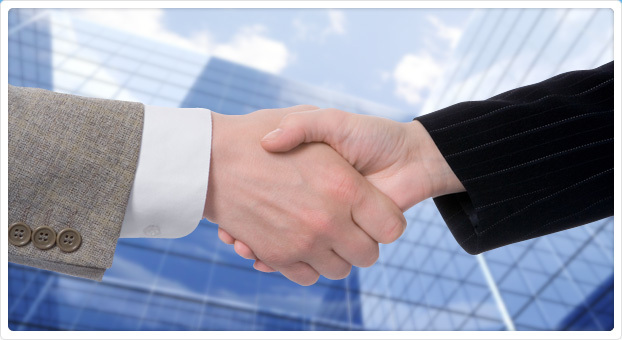 Achievence is able to assist with contracting strategies (schedules, contracts, teaming, etc..) market analysis, marketing (execution), business development, sales (planning, pipeline development, execution and management) as well as overall business plan and Corporate strategy development and implementation. Many companies are very scientific and calculated about how they develop and deploy their products and services yet they rely on faulty human resources processes to choose the people who represent the company to the market, namely their sale and BD teams. Relationships, industry knowledge and experience, rolodexes and technical competence are often the primary selection criteria for talent yet they have very little to do with the likelihood of success; (see our hiring calculator on the home page). Then once they are on board a “go gettum tiger” strategy is employed. Achievence uses proprietary behavioral interviewing techniques that discern the difference between candidates with natural sales acumen and cultural fit from those who look good, interview well, have strong resumes but ultimately will fail to produce. This leads to much more successful hires. Achievence follows this with customized on-boarding processes to get new hires to high productivity status with much greater efficiency or conversely, identify those rare hiring errors quickly so a change can be made and money not wasted. The Growth Audit lists the problem area, the impact it has if left untouched, the risks associated with the undertaking and the expected results from its successful implementation. It then combines the importance of completing the activity with the feasibility of it being accomplished in a timely manner in order to determine the relative priority of the task. The roadmap is offered when the priorities have been established. The Growth Audit determines where you are and provides a roadmap to your future destination in a prioritized format. It provides a thorough snapshot of today so you know where to start. Let us help. Achievence begins by benchmarking a client’s sales organization and addressing key obstacles while coincidentally addressing and strengthening the growth strategy. Next the selling team structure and associated tools (collateral, proposals, presentations and sales aids) are developed. Sourcing and management of referral resources and strategic alliances make up the focus of the warm lead generation strategy. Immersion Training then applies sales methodology to the opportunities created and follows them to the close. Embedded Base Growth focuses on the relationship the delivery role has in expanding existing customers. Training, strategic hiring and strategic planning cannot produce the results that most company’s need alone. It is through this holistic approach that a healthy revenue generation process can be derived.